As-built conditions at Gammon Lake Dam, a Small-size, Low-hazard dam in February 2011. 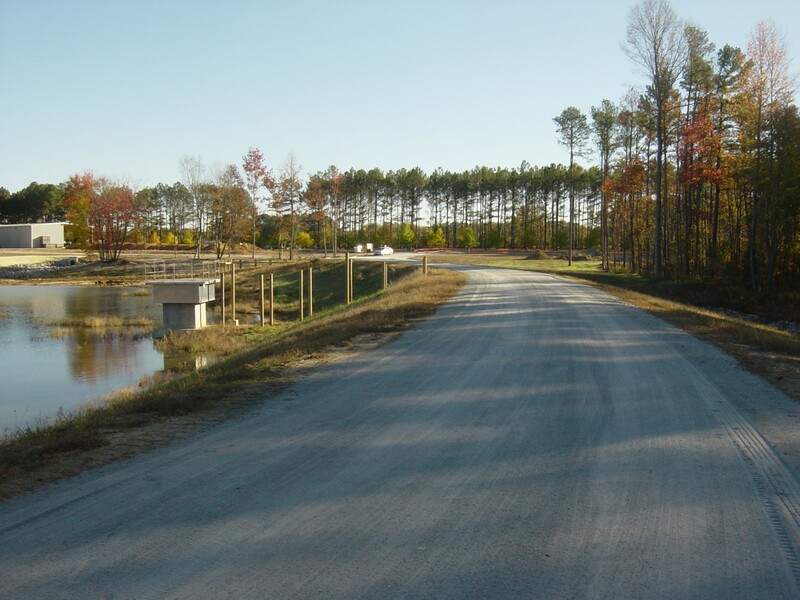 S&EC prepared design recommendations for the repair and reconstruction of the spillway system, the embankment, and various appurtenances for Gammon Lake Dam in Edgecombe County, NC. This small-size, low-hazard, earthen dam approximately 475 feet long and roughly 20 feet in height had fallen into disrepair and was in need of an overhaul. Our engineers evaluated a variety of spillway options and embankment modifications necessary to meet dam safety design and construction requirements. Spillway capacity requirements were designed with the assistance of computer models. S&EC also evaluated and designed internal and external seepage collection requirements, spillway erosion control, and site sediment and erosion control requirements. We prepared Construction Drawings and Technical Specifications for review and approval by the NCDENR Land Quality Section (Dam Safety Office). S&EC also performed the necessary coordination with the U.S. Army Corps of Engineers (USACE) and the N.C Division of Water Quality (DWQ). S&EC also performed construction observation throughout the repair and reconstruction process working closely with the contractor and owner. Repairs to Gammon Lake Dam were complete in early 2011 and As-built Drawings and Engineer’s Certification was finalized.